Looking for an electronic solution that doesn’t require a lot of space? Introducing the new EM-05 series Electronic Slide Bolt! Southco’s EM Electronic Slide Bolt series facilitates the transition from mechanical to electromechanical latching solutions and delivers enhanced access control to applications that require concealed, controlled and secure access. Want to learn more about this innovative new latch mechanism? CLICK HERE! If you would like to know how this product (or something similar) can be adapted to your specific designs, call us today or use our handy Contact Form to reach out to us. One of our Technical Experts will be happy to help you! Southco has expanded its line of electronic access solutions with a compact electronic actuator that simplifies the upgrade from mechanical to electronic access. 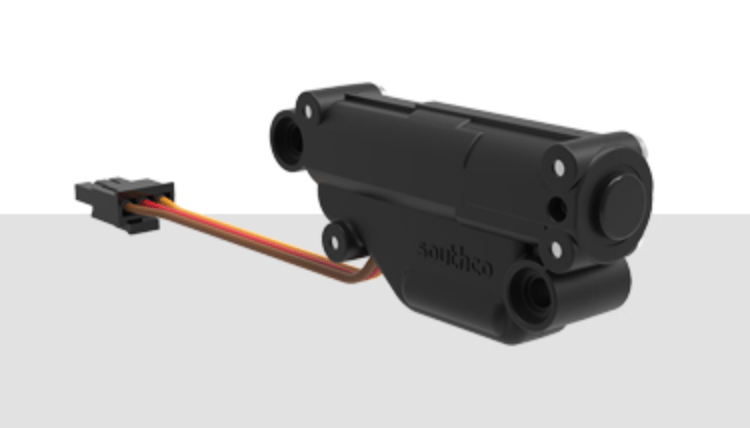 The AC-EM 05 Electronic Actuator offers an economical option for achieving electronic actuation of Southco’s R4-05 Micro Rotary Latch series and other mechanical latches. When connected to an electronic access control device, the AC-EM 05 Electronic Actuator can be used to actuate a mechanical latch to remotely open or unlock a door or panel. 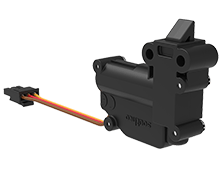 With its small profile design and efficient gear motor operation, the AC-EM 05 Electronic Actuator is ideal for concealed applications where physical space constraints are a challenge. The AC-EM 05 Electronic Actuator can be easily paired with Southco’s R4-05 Micro Rotary Latch series or any other comparable mechanism to provide electronic access control in limited space applications. Southco’s AC-EM Electronic Actuators make it easy to upgrade from mechanical to electronic access control. AC-EM 05 Electronic Actuators offer an economical option for achieving electronic actuation of Southco’s R4-05 Micro Rotary Latch series and other mechanical latches. AC-EM 05 Electronic Actuators enable electronic access control when combined with mechanical latches! Want more information on the new AC-EM actuators? Use our handy Contact Form to reach us! SELF-CONTAINED electronic access solutions now available from Southco! If your customer is asking you for options that include electronic latches, we can help! Southco’s self-contained electronic access solutions are easy to install and just as easy to set up. Shown here are two options that are entirely self-contained, that require no special wiring or programming. These latches were designed for ease of installation and long battery life. Rated for 50,000 cycles with only 3 AA batteries, you sure don’t have to worry too much about power requirements. In fact, ALL of Southco’s electronic latches are designed to be extremely energy efficient. But even if the batteries do run out, you can always actuate the latch with the Manager Key that supplies its own power. While “electronic locks” are becoming more popular every day for end users, self-contained electronic access is important for manufacturers. When you consider the cost of adding wiring, programming and management of electronic latches, this kind of simplicity adds a lot of value to your product. If you want to learn more about the Self-Contained electronic latches we carry, you can click on the link to the Southco Products above or visit Southco’s website for more specific product details. Your electronic solution is waiting! If you’re interested in learning more about these self-contained electronic access solutions, please let us know! Just call us, use our Contact Form or hit CHAT WITH US at the bottom of this page and we’ll be happy to answer your questions. If you’re interested, and if it’s possible, we can also arrange an in-person demonstration. One of the weaknesses of any electronic latching solution is it’s vulnerability to the elements. Water, dust, and extreme temperatures can be trouble for any kind of electronics. 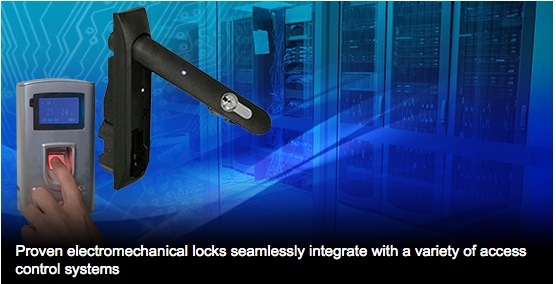 Southco’s R4-EM Outdoor Electronic Rotary Latch provides reliable electronic access control in demanding environments. With its corrosion-resistant plated-steel or stainless steel outer body construction and fully-sealed internal actuator, the Outdoor R4-EM provides reliable electronic locking that is resistant to moisture and dust. 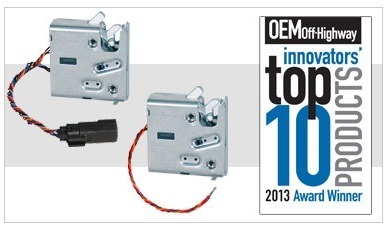 Electronic latching solutions open up a range of possibilities. Proximity keys, NFC and wifi connectivity allow easy access for authorized users, but great security at the same time. Want to learn more? Click on the link for the R4-Em or use our Contact Form to reach us. We’re here to help! We thought you might like to take a closer look at the Electronic Access Solutions that Southco has available! This link will take you directly to Southco’s website where you’ll find the most up-to-date information and product specifications. Enjoy! Electronic Access & Locking Solutions – Southco. Southco has a new (and expanding) line of electronic access solutions, and they’re definitely worth a close look. Southco has developed an amazing array of components that can suit just about any industry. What’s even more impressive is the fact that Southco can provide the whole package, from the actuator to the controller module, to the cabling. And if that’s still not enough, many of these electronic solutions can be retro-fitted into existing applications where regular locks are being used. Some electronic versions can be simply swapped in, while others can be “incorporated” with relative ease. Use our Contact Form to speak with us about your particular application, or visit Southco’s page for more detailed information about their EAS solutions. Either way, I think you’ll be impressed by the range of options we can provide.